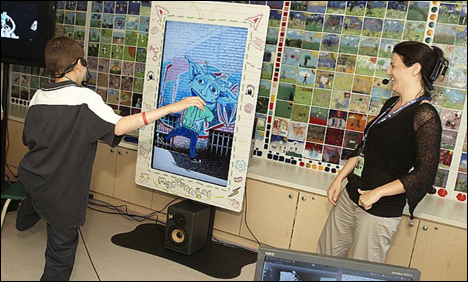 Doctors in a domed laboratory in Montreal, Canada are designing a virtual world where they hope to one day treat traumatized children with colorful avatars using toy-like medical gadgets. Sensory stimulation could be used to make a burn victim feel she is encased in a block of ice. Three-dimensional images of a child's bedroom at home could make him forget he is in a hospital. "You could take a child suffering from burns and put him in a polar environment, crossing the threshold of reality, to dull his pain," said Patrick Dube, who is leading a team of medics from Montreal's Sainte-Justine hospital and software engineers at the Society for Arts and Technology. "We know that cognitive illusions have an effect on the perception of pain," he said.